The Home Office says that older homeowners are at no more risk from crime than any other citizens. 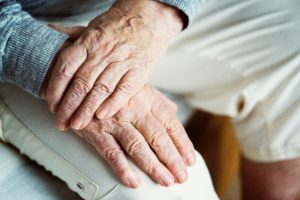 However, if you have elderly relatives or friends, you will naturally feel concerned about their safety at home, especially if they live alone. If you are keen to help protect your older loved ones, read on for some expert advice. Take a look at the quality of the final exit doors, front and back. Do they close and lock properly? Make enquiries as to the age of the doors, bearing in mind multi-point locks do have a limited shelf life before they need either servicing or replacing. Timber doors and windows that are ageing are particularly high security risks, because the frames are not strong enough to hold the lock structure in place. Sliding doors also need special attention, especially if they were installed some time back. Our dedicated post on sliding door security will make a helpful read if you find yourself dealing with these. Are windows being left open during the night or on leaving the property? This is not good practice generally, although there are steps that can be taken for example during the summer to help with airflow whilst at the same time maintaining security. If you find that keys are being left in locks, make sure you let your friend or relative know that this is a very risky thing to do. Keys should always be taken out of locks and kept out of sight. Thieves have numerous tricks up their sleeves to grab keys through letter boxes, cat flaps and the like, and doors that allow easy passage out of a property with a ‘bag of loot’ are obviously highly undesirable. Wooden back or side gates are a prime target for intruders because they tend to be out of sight with a sturdy climbing surface. Make sure any back or side gates are well secured and properly maintained. You can learn more about measures to secure gates in our dedicated post. Naturally there is always going to be a consideration when it comes to funds available for security measures. Intruder alarms, CCTV and security lighting are all incredibly powerful ways to protect a home and the people and valuables in it. Sometimes older relatives may be of the belief that such measures are ‘nice to have’, but their pensions may not stretch to such ‘luxuries’. In reality, these luxuries could end up providing savings, as well as peace of mind. In addition, talking frankly to a security professional about budget constraints will help them craft security solutions that fit with available funds. There is a vast range of security products available at a variety of budget levels, so it is usually possible to find something to suit every purse. In some cases, homeowners can be entitled to help towards certain security improvements from the local authority, so it is always worth making enquiries with the housing department. Never keep large amounts of cash in your home. Keep cash in the bank or building society. If you need cash for any reason, draw it out at the last minute, and keep it in a safety deposit box that has been secured down. Ensure your exterior lighting is good. Lit areas deter thieves. If a nearby streetlamp is not functioning properly, report it to your local authority. This can be done online or over the phone. Never let strangers into your home, and never give out personal details like credit card or bank account numbers to people who call at the door. See our post on dealing with bogus callers for additional guidance on action to take and protective measures you can use such as door viewers and security chains. ID everyone who arrives at your door to carry out maintenance work. Whether they are from the local council, or it is someone you have hired yourself, be sure to scrutinise their ID badge and if you are in any doubt, ask them to come back later when you are not alone. A password system is usually used for vulnerable people, so advise your friend or relative to make use of this wherever possible. Get to know your neighbours. Looking out for each other is one of the best security measures you can employ. If there is one, join a local Neighbourhood Watch scheme and work together to share and report any suspicious behaviour to the police. For reassuring, personalised advice to help keep your loved ones safe in their homes, talk to the security experts at Barry Bros Security. We have a friendly, welcoming showroom in central London close to Paddington station, or you can give us a call or drop us a line. We look forward to being of assistance.